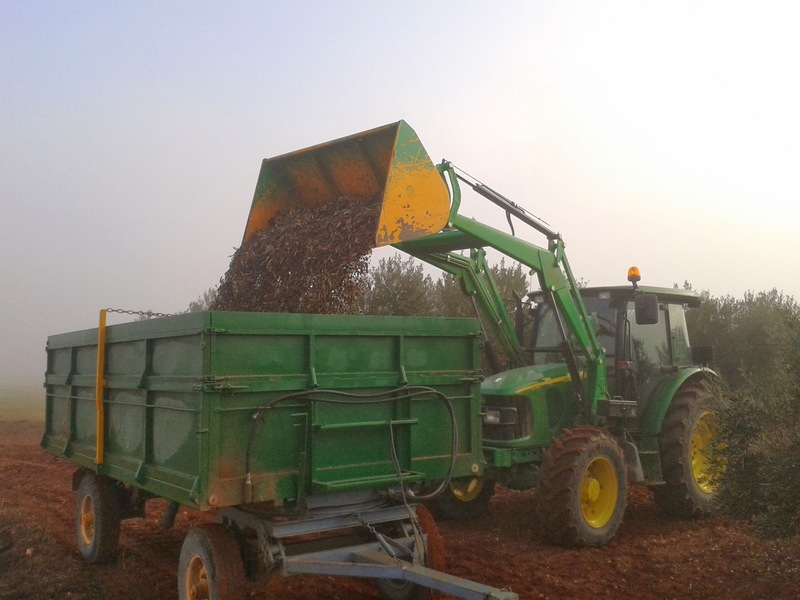 One of our jobs in the last Christmas holidays was harvesting olives. 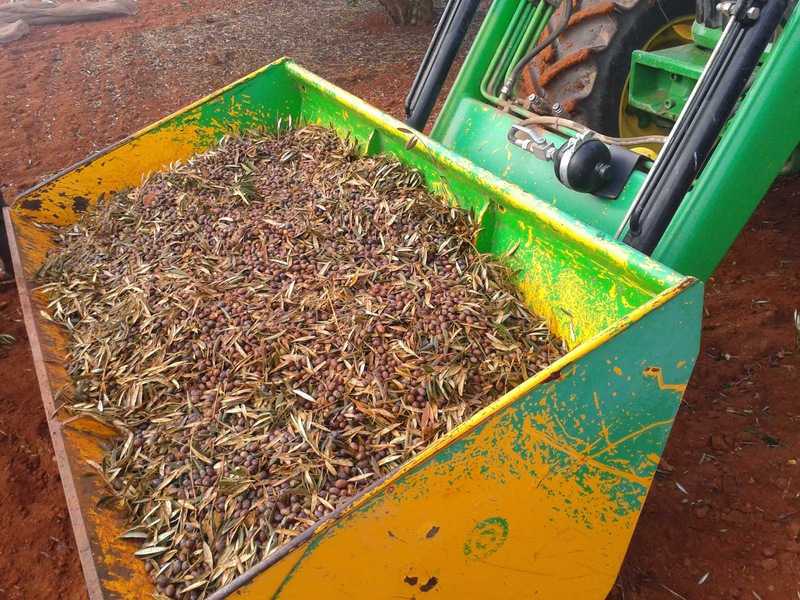 This year, we finished a few days late because the cereal sowing was too late due to some problems with the drought (we spoke about that in a previous post). 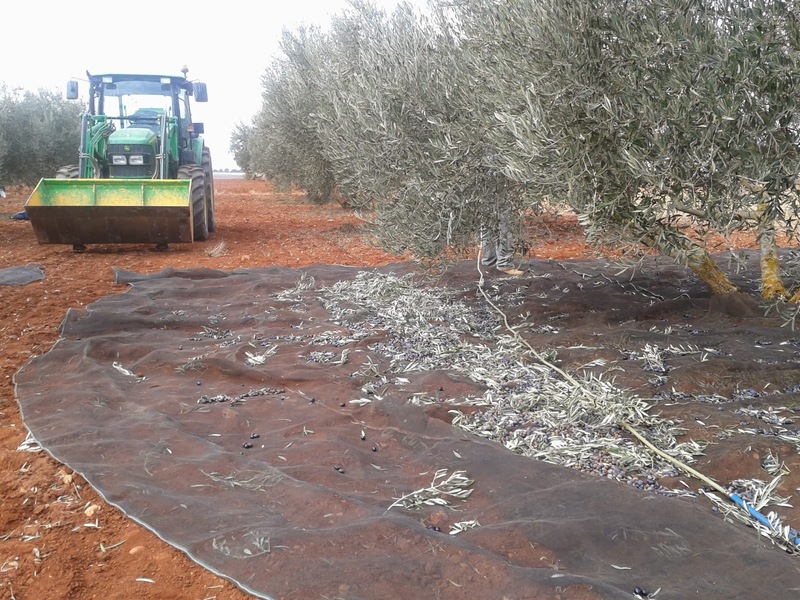 The production has been very good this campaign and each olive tree has generated about 40kg... we think it is a fantastic average. We are going to carry out an important pruning... we will speak about that in the future. 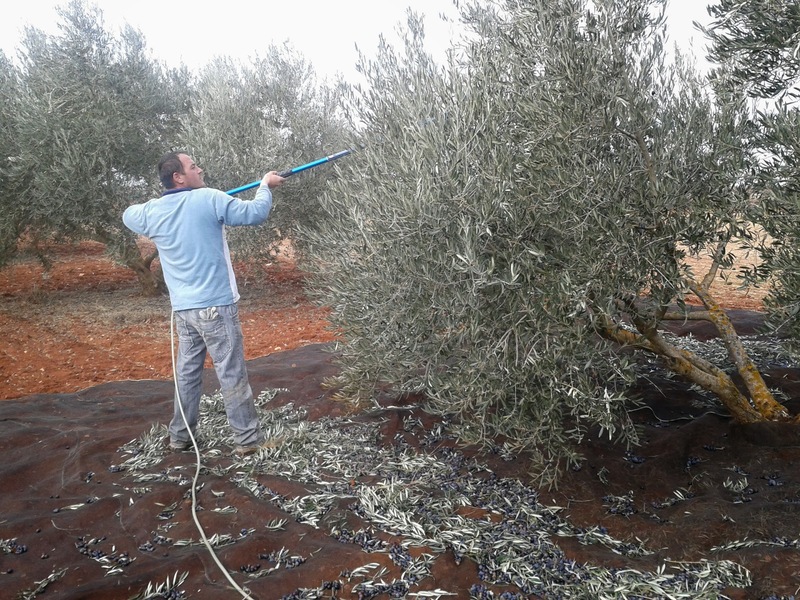 We have a Campagnola pneumatic olive harvester to perform this job... (you have more information in this old post) but the weather rewarded us for finish​ing​ soon (the forecast indicated us it would rain in the next days), so a team of 6 Rumanian people helped us. They are very hard worker (they harvested about 4,500kg in a day) but sometimes they didn't execute their jobs as successfully as we would like. When we finished the harvesting, we ​​brought them to an oil press in Sisante (it is a small village near our village). It was the first time we delivered our olives there, so we had to join them as partners. There, the delivery process is really well designed: firstly, the olives go to winnower where leaves and branches are removed. After that, the olives are cleaned with water. When it is finished, the olive are weighed and previously they are put on a large hopper, some olives are caught to do a small test which allow us to know its performance, moisture, quality... Finally, the olives are ground and without other mechanical processing the generated olive oil is stored in some decanters to be put into tanks after that... afterward, we obtain just extra virgin olive. In brief, the facilities of this oil press are spectacular!. Other important point is that the crushed olive pit is also used for heater systems. When we went to there, employees of oil press were uploaded a trailer as you can see in our pictures... the oil press can sell its oil in bottle of 2 or 5 liters with its Sisaoliva brand or they can sell it in bulk trailer to be bottled with other brand.